Bringing It Back to the Beginning Trailer: Vox Lux! Vox Lux – Celeste (Natalie Portman) – Photo by Atsushi Nishijima/Courtesy of Neon. When Celeste and her sister Eleanor experience a violent tragedy in 1999, their response is a song that catapults Celeste to stardom. Now, with a teenage daughter, Celeste once again faces tragedy. Vox Lux opens in select theaters on December before going wide on December 14th. Annihilation – 2018’s Best Sci-Fi Movie Comes To Home Video! Alex Garland’s Ex Machina is a brilliant film, so topping (or even equaling) it would be a pretty tall order. In his adaptation of Jeff VanderMeer’s Southern Reach novel Annihilation, Garland does just that. Now, Annihilation is coming to home video – on digital on May 22nd, and on Blu-ray and DVD on May 29th – with six featurettes in three groupings that take the viewer inside the Southern Reach. The Biologist and the Shimmer Trailer: Annihilation! Annihilation – (L-R) Gina Rodriguez, Tessa Thompson, Tuva Novotny, Natalie Portman and Jennifer Jason Leigh – Photo courtesy of Paramount Pictures. The new trailer gives a better look at The Biologist (Natalie Portman) – and the land beyond The Shimmer. Annihilation opens on February 23, 2018. Annihilation – Left to right: Natalie Portman and Tessa Thompson – Photo courtesy of Paramount Pictures and Skydance. Alex Garland, of Ex Machina fame, is tackling Jeff Vandermweer’s Southern Beach Trilogy – one of most intriguing and baffling science fiction works I have ever read. Annihilation stars Natalie Portman as The Biologist – who volunteers for an expedition into an area where the laws of physics don’t apply to find out what happened to her husband. Annihilation opens on Febraury 23rd. Natalie Portman plays Jackie Kennedy – not the public Jackie, the one we know from television but the one whom we never saw: the one who had to deal privately with the loss of the man she loved. That the man she loved was President John Fitzgerald Kennedy only heightened her loss. In the first trailer for Jackie, we see a devastated woman hanging on for dear life – yet never, quite, slipping over the edge. Natalie Portman is Jackie. Jackie will be in select theaters on December 2nd. The trailer follows the jump. Jacqueline Bouvier Kennedy was not just First Lady, she was the architect of Camelot and as brilliant as she was dignified and poised. Jackie follows her through the days following the assassination of her husband, John F. Kennedy, as she struggles to hold it together under the most trying of circumstances. Jackie opens in select theaters on December 2nd. The trailer follow the jump. Cryptic Trailer: Terence Malik’s Knight of Cups! The first trailer for Terence Malik’s Knight of Cups is here! And, yes, it’s as bewildering as ever. Knight of Cups’ world premiere will be at the Berlin Film Festival in February, It will be released in North America later in 2015. 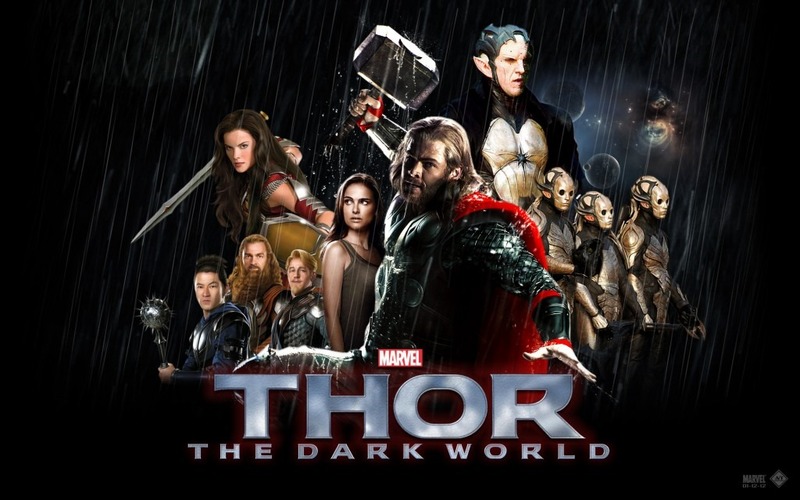 Thunderous TV Spot: Thor: The Dark World! The first TV spot for Thor: The Dark World ran during the premiere of Marvel’s Agents of S.H.I.E.L.D. It contained some new footage and one particular moment where the God of Thunder gets called on the carpet for never writing, or calling… It’s good stuff and, if you missed it there, you can check it our after the jump. 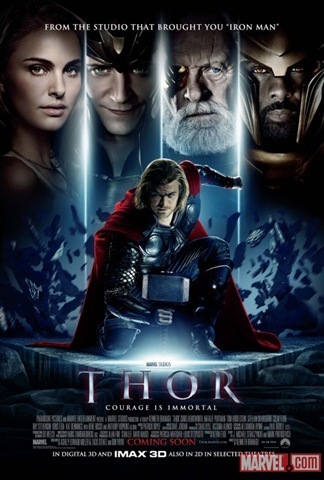 Hot Trailer: Thor: The Dark World! Thor: The Dark World has a trailer and it’s pretty great – though things don’t look good for Jane Foster! Follow the jump to check it out. Thor’s DVD Release Great Fun But Lacking Agent Coulson Short! One of the biggest movies of the year – in terms of grand, epic fun – Thor gets a DVD release that provides one thing I always enjoy [a terrific commentary track by director Kenneth Branagh] but lacks the one thing I was most hoping to see: a promised short feature built around S.H.I.E.L.D. Agent Coulson. Turns out that, contrary to promises made, it’s only available on the Blu-ray. 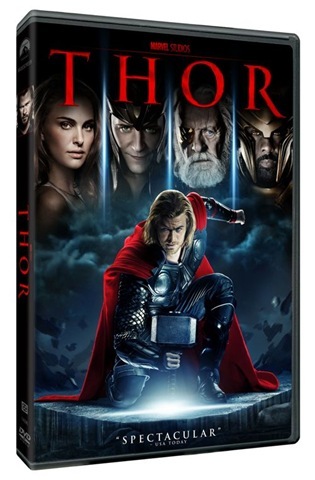 Still, even without it, the DVD release for Thor is still great fun. 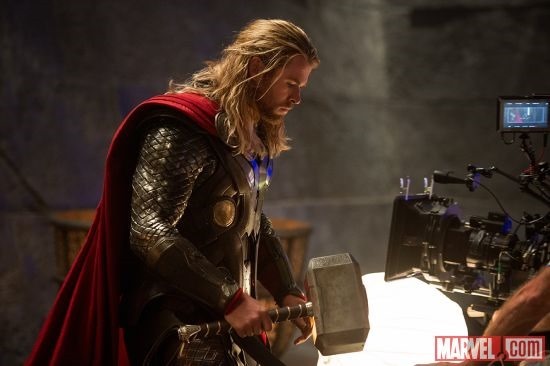 In Marvel Entertainment’s Thor, it may just have its Superman: The Motion Picture.